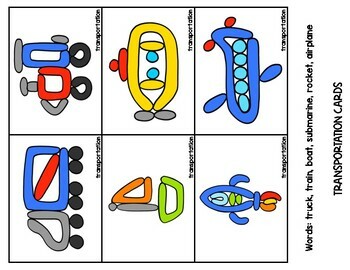 Everything is always stretching out CVC words...BUT what about holidays, animals, transportation and more that students are stretching out all the time! 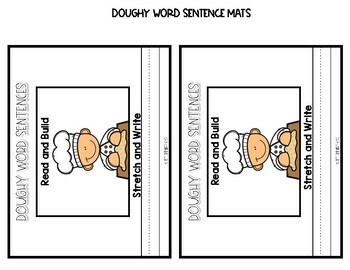 Well I have the perfect phonetic set that can be used all different times of the year to help students practice stretching out words that aren't just CVC..introducing doughy word mats! 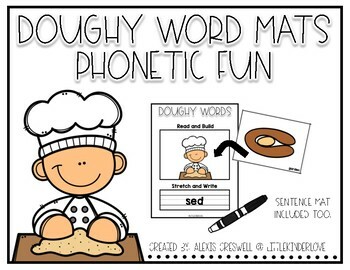 These include 18 different themes of play dough cards that students can build the picture, stretch out the word or write a sentence!! Themes Included: bugs, animals, Valentine's, Easter, St.Patrick's, Halloween, school supplies, dental, food, transportation, garden, Spring, Summer, Winter, Fall, Thanksgiving, road signs, and weather. More will be added through out the year too!